4 Current MMA Champions at H2O & one in the UFC! Muay Thai, BJJ, Wrestling, and More! H2O Kids Class (Ages 6-12) - Kickboxing, Brazilian Jiu-Jitsu, Confidence, Respect. Bully Proof your Kids today! Reach your goals through Privates Classes at H2O MMA! All ages, all levels, all goals! Top Quebec pro fighter Jeremie Capony chooses H2O MMA! Interested in getting a Personal Trainer for private one on one training to reach your goals? Having trouble doing it alone? Just book a session with Richard Ho and his team of top Montreal Personal Trainers. Whether it's for fitness, weightloss, your kickboxing, bjj, mma techniques, conditioning or more, private instruction at H2O Montreal will help you achieve your goals faster. Richard will make sure to devise a program suited to your needs and to keep you motivated to reach your goals. Women's Only Kickboxing Bootcamp workouts are the best around at H2O Gym Montreal. Whether you want to learn self-defense, lose weight, improve cardio & fitness, or just sculpt your body, this class will do it for you. This is a safe, friendly, non-competitive class, designed for beginners, where learning and supporting each others goals is always #1. Muay Thai Kickboxing workouts at Montreal 's H2O MMA Gym are the best around. Our unique program will train you like a professional kickboxer (with technique & conditioning) to get you into the best shape of your life. Designed for all levels from beginners to advanced. Great for men & women. H2O MMA ranked number 1 out of all the schools at the last BJJ Montreal SAU Tournament. The most technical instruction, friendly atmosphere and the best competition team around, everyone will find what they are looking for here at H2O BJJ Montreal. Come check us out. Our motto; Size Does Not Matter. Our Brazilian Jiu-Jitsu (gi) & (no gi) school in Montreal, will enable you to defeat anyone (Larger, Stronger, More Athletic). Submit them all. Congratulations to H2O MMA's Olivier Aubin Mercier for making it to the UFC & becoming the The Ultimate Fighter Finalist! Most recently winning the UFC "Performance of the Night" award for his inverted triangle choke win in Halifax. H2O MMA is one of the top MMA Gyms in Montreal, to combine BJJ (Brazilian Jiu-Jitsu), with Boxing, Muay Thai Kickboxing, Judo, and Olympic Wrestling, to make you a complete martial artist and or a force in any MMA or Ultimate Fighting Event. H2O MMA with Head Coach Richard Ho is home to pro mma fighters "UFC Ultimate Fighter Finalist" Olivier Aubin-Mercier (10-2), Mario Pereira (4-0) & Dominique Trepanier (2-0)! 9000sq feet facility - Smoothie Bar - Showers & Change Rooms - and more! 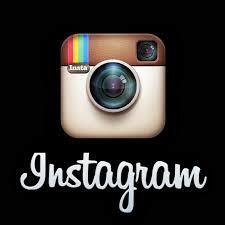 Follow H2O MMA on Facebook, Instagram & YouTube! (CLICK HERE) FREE TRIAL! CONTACT US TODAY! 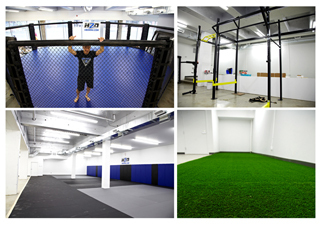 H2O MMA IS EVERYONE'S DREAM GYM! WHERE ALL YOUR GOALS COME TRUE! Congratulations to H2O MMA's Olivier Aubin-Mercier ( Finalist on The Ultimate Fighter Tuf Nations) for winning the "Submission/Performance of the Night" Bonus at UFC Halifax! New Weight Training & Cardio Room and Gym Only Memberships Now Available! (Click here for) Montreal's #1 Women's Only Kickboxing at H2O MMA Gym! Wolfslair choose (H2O MMA) Richard Ho to be Cheick Kongo's Muay Thai Trainer in Montreal for UFC 97! UFC Legend Big John McCarthy on H2O! BJJ Black Belt "Mike Lee" is now part of team H2O MMA! Known for their friendly, skilled and humble atmosphere, H2O Gym makes every class fun and enjoyable. "BJJ Black Belt" Mike Lee & "2X UGC Champion" Richard Ho are proud to welcome you to Montreal Martial Arts #1 Muay Thai Kickboxing, BJJ, MMA & Private Training gym in Montreal - H2O MMA.
" Having had 2 kids in the past 3 years, I was looking for a class to burn the "baby fat" I gained. I'm losing a pound a week all while having a great time! * Richard is an excellent instructor who makes you feel comfortable and is patient and courteous when giving constructive feedback on technique. It's a fantastic class!" Copyright @ H2O MAA. All rights reserved. Site design by Deluge Media.